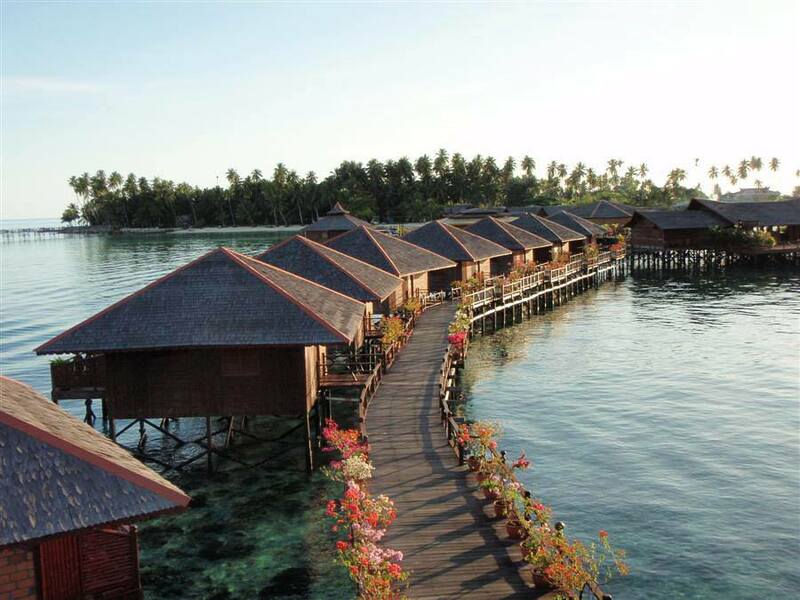 Home > News > Diving in Sipadan – One of the World's BEST Diving Locations! Diving in Sipadan – One of the World's BEST Diving Locations! Looking for the diving destination of your dreams? This might be it! Sipadan Island is a marine paradise renowned for its rich marine life, reef drop offs, pristine reefs and clear blue water. Considering all of these factors, it's no wonder it is regularly ranked as one of the World's best diving locations! Scuba Divers Paradise - Spiadan! 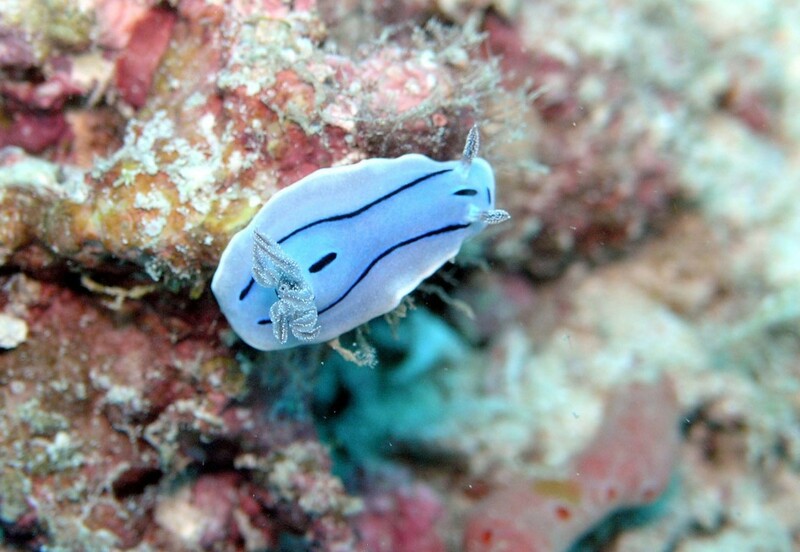 Sipadan is found in Celebes Sea just off the coast of Borneo, Malaysia. It is nestled in the triangle between Philippines, Indonesia and Malaysia. For divers who wants to see bigger sharks and big turtles all day, they can go to the nearby Kapalai Island and Mabul Island that is just a 20 minute speedboat ride from Sipadan as it offers hidden treasures like pipefish and nudibranchs . 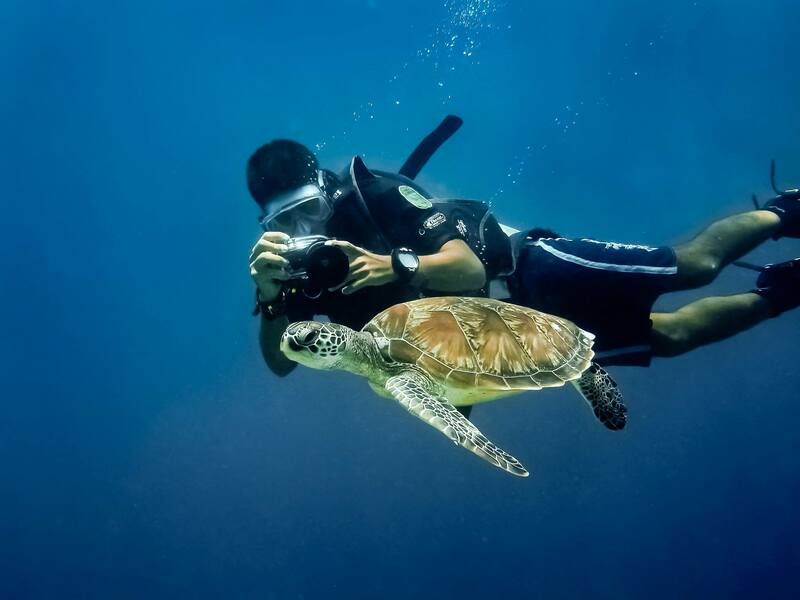 Sipadan is a place that is simply legendary in the diving circles, that conjures the images of dozens of sea turtles swimming everywhere in the water peacefully, millions of multicolored reef fish and patrolling hammerhead sharks. We could handle coming back to one of these at the end of a dive! This island is known for its deep sea trenches, sea mounts, strong ocean currents along with active volcanic islands that creates a complex oceanographic environments which makes it a scuba divers paradise. The beauty of this island lies in its large diversity as every island has varying marine life - you'll never get bored! When is the best time of year to go scuba diving in Sipadan? 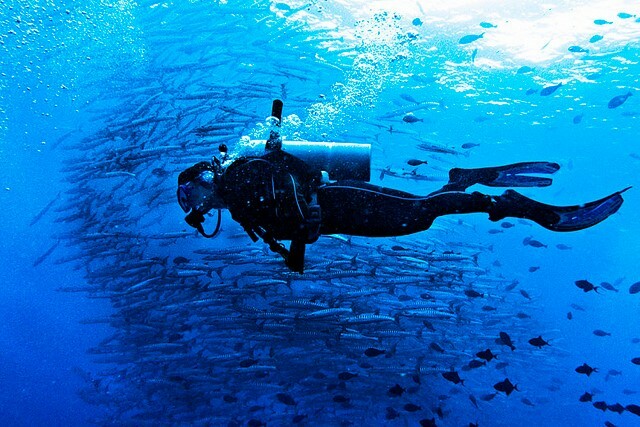 Scuba diving in Sipadan occurs all year around with decent visibility throughout the year. For the best conditions, including 50m visibility, visit during the dry season between March and October. Water temperatures in Sipadan range throughout the year between 21° C to 32° C.
What are some of the best dive sites in Sipadan? Hanging Gardens: good abundance of soft corals. Mid Reef: renowned as the most colourful of dive sites in Sipadan. During your scuba dive ou will find green turtles, anemone fish, Moorish idols and vibrant sea fans. 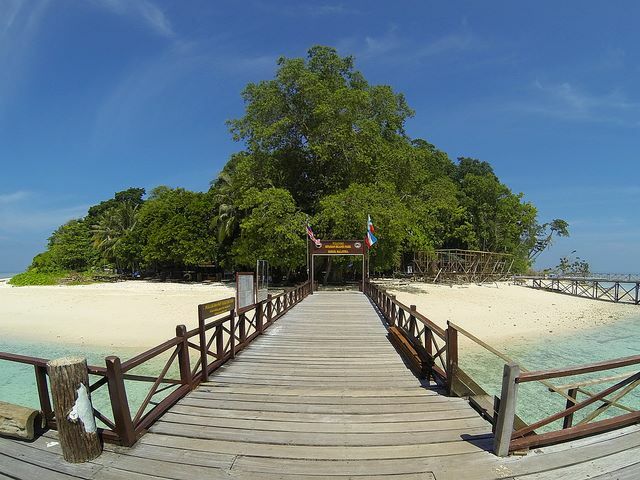 Sipadan Jetty: the starting point of diving in Sipadan with an abundance of hard and soft corals, batfish, mackerel and barracuda as well as the occasional leopard sharks and white tip reef sharks. If you make the dream holiday to Sipadan, talk to us about what gear you will need and be sure to send us lots of photos (we'll be so jealous!). What are you waiting for? You only live once!